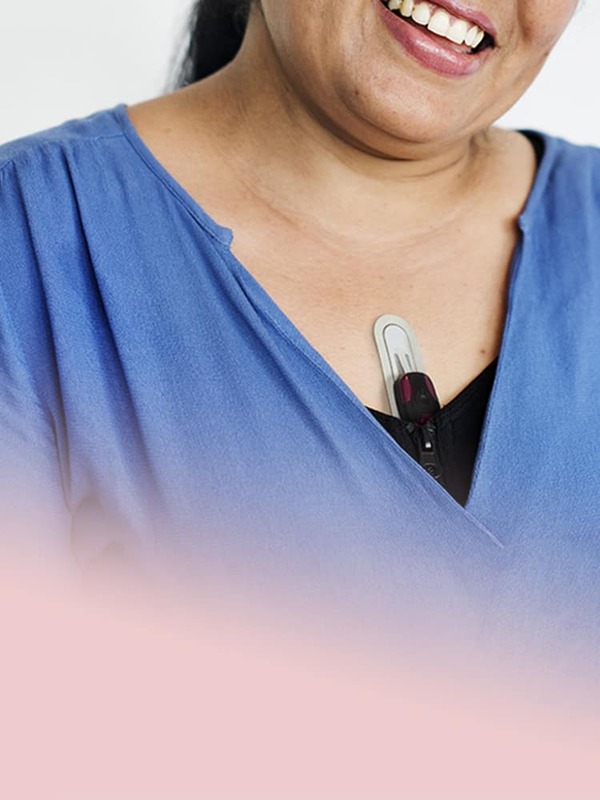 The feather-light and modular 2-in-1 “Cardiac Rhythm” bio-sensor is an unobtrusive, easy to use device for patients that lets them continue with their everyday activities immediately after application. It offers better monitoring efficiency along with deeper clinical-grade data insights compared to traditional ECG machines. Complete Cardiac Event Monitoring, simple, convenient & real-time! 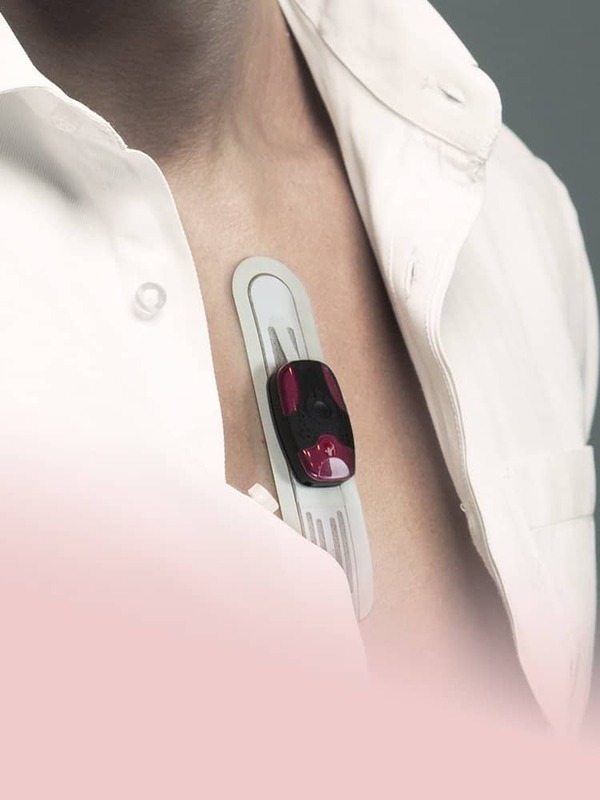 Cardiac Rhythm’s advanced, multi-function, 4-1 monitoring biosensor includes Mobile Cardiac Telemetry, Wireless Cardiac Event, Holter and extended Holter monitoring in a simple, wearable patch. 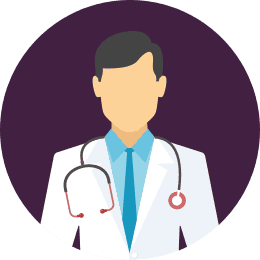 Our solution is state-of-art and helps address a broad set of cardiac diagnostic needss. Do any routine activity you like to do. Our discreet wearable bio-sensor will accurately monitor your heart. Comfortable for extended wear for both genders (upto 14 days); for women, discreetly positioned on the sternum. Access comprehensive actionable clinical reports 24/7 from anywhere through our secure cloud portal and make informed treatment decisions. Built-in, patient-initiated, event notifications for better diagnostic yield. Continuous monitoring of patient activity & stress levels correlated with heart events & arrhythmia. Cardiac Rhythm minimizes the potential for human error, by providing a more efficient and accurate way to collect ECG data, thereby enabling care providers to spend less time on monitoring vitals—and more time caring for their patients. Cardiac Rhythm’s portable and innovative technology means you can use a single device, both as a long term holter and a real time event recorder to monitor your patients’ heart condition. Heart monitoring is now easier than ever! Loved by doctors. Increased patient satisfaction. Cardiac Rhythm Bio-sensor is easy to wear and remove besides being water resistant. Monitoring 24 hours? How about 7 to 14 days? Once strapped and activated, the sensor captures beat-by-beat cardiac rhythm (ECG data). Care coordination, straight from the cloud. All reports from Cardiac Rhythm are analyzed by qualified cardiographic experts. One of the most transformative features of the Cardiac Rhythm solution is the ability to remotely monitor the health of patients as they go about their daily lives. 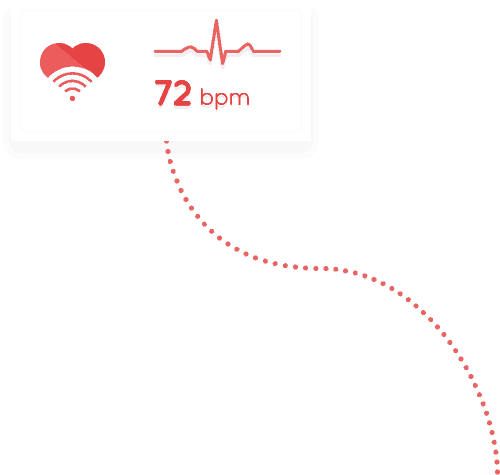 Our event monitor captures the patients arrhythmia and securely transfers it to the secure cloud which is available for real-time analysis by healthcare professionals followed with a notification to the physician’s mobile phone. Excerpts straight from the experts. “I have used Cardiac Rhythm’s holter monitoring services for our outpatients and have been very satisfied with the quality of the service. They are prompt, courteous, available to answer questions and easy to work with the recent introduction of small recorders. I’m impressed with the light weight electronic sensor and their 24 Hrs report turn around time. “One of my patient who was on Cardiac Rhythm’s event monitors got discovered with a life threatening arrhythmia. She was immediately shifted to our emergency and was treated within less than 2 hours. Appreciate the advanced telemetry technology and the care coordination team of Cardiac Rhythm in saving lives”.